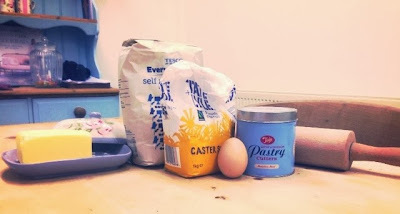 Step 1: Pre-heat your oven to 220°c, or gas mark 7. 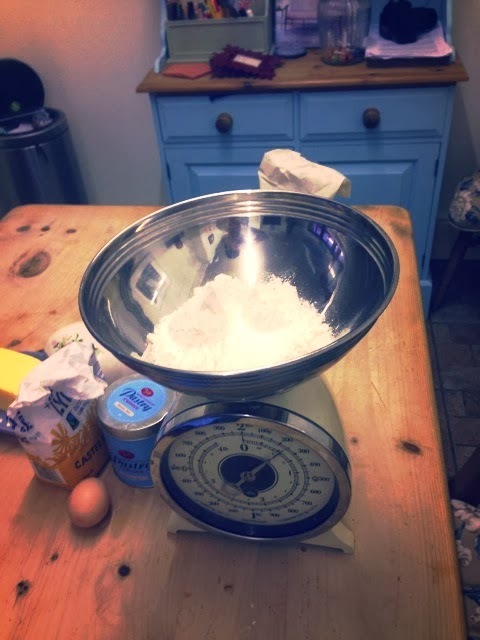 Step 2: Measure out the 225g of flour. Step 3: Sift the flour into a large bowl, lift the sieve high to get lots of air into the the flour...this will help the scones to rise. 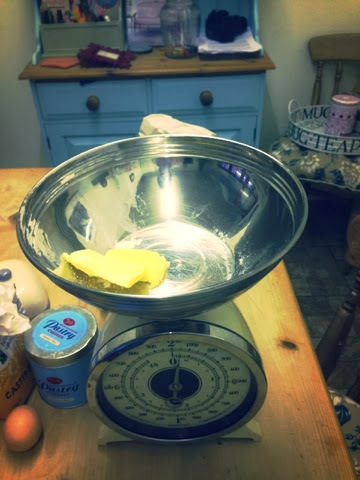 Step 4: Measure out the 40g of butter, rub this into the flour using your fingertips. 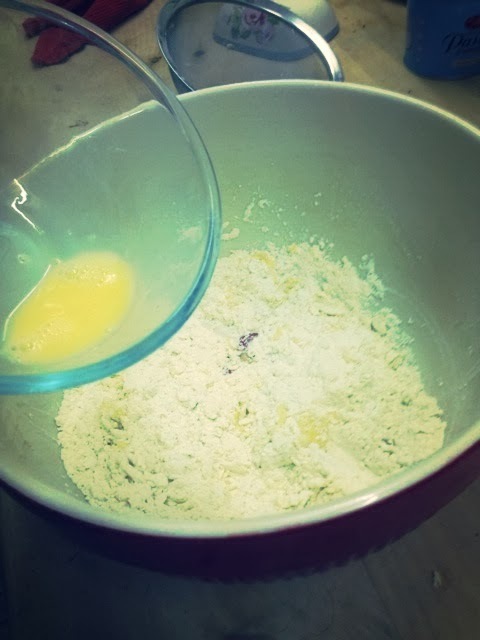 Step 6: Pour the sugar into the mix and gently stir in. 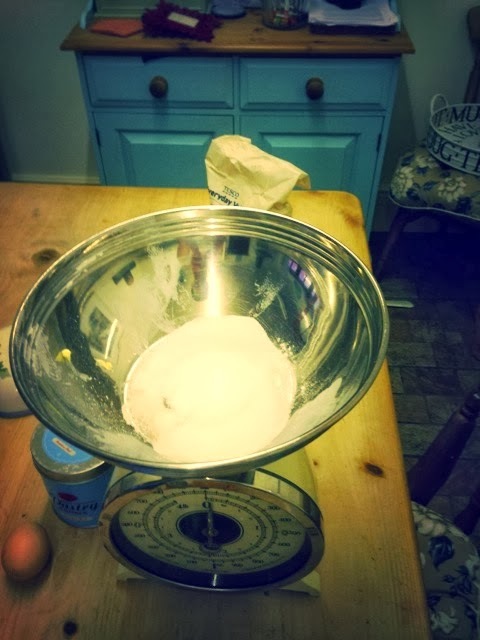 Step 7: Crack the egg into a separate bowl and whisk it. 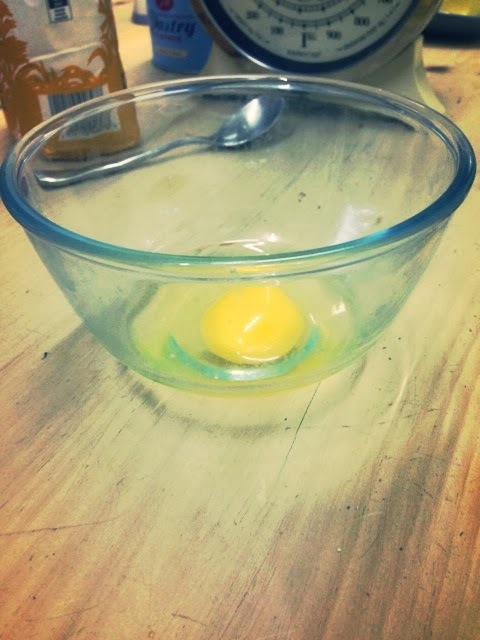 Step 8: Add the egg to the mix gradually, stirring as you go. 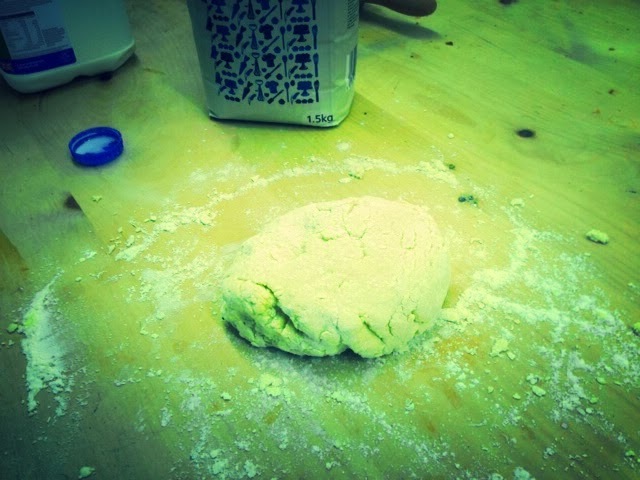 Step 9: Now, bring the dough together into a ball. 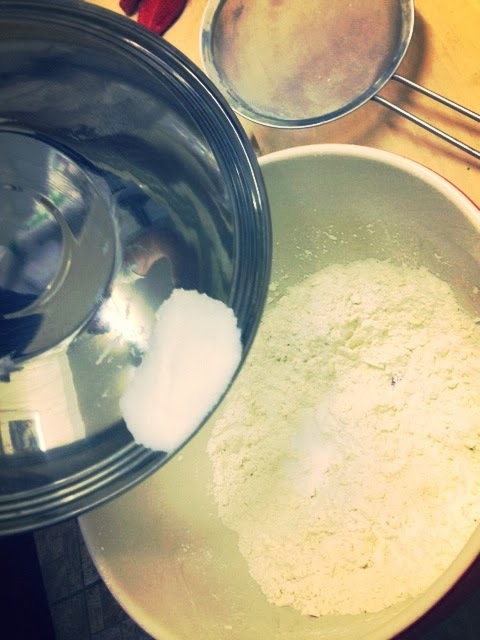 You can add some milk if the mix is too dry, or some flour if it seems too wet. 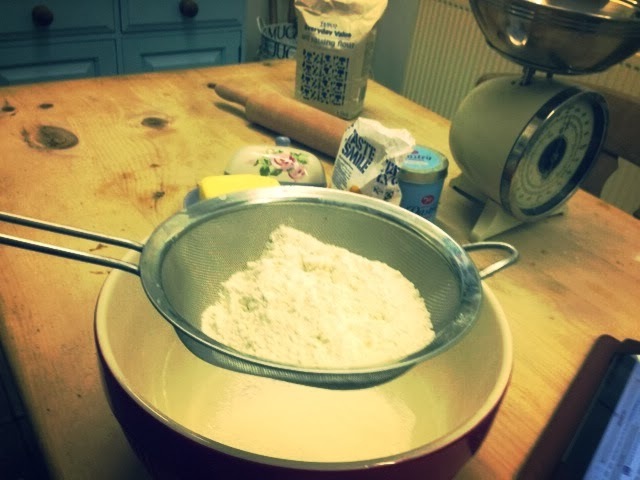 Step 10: Flour a clean working surface and begin rolling the flour out, ideally to a thickness of about 3cm. 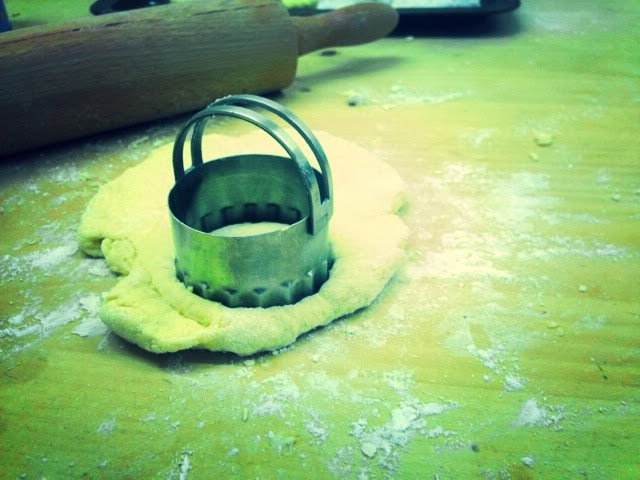 Step 11: Using pastry cutters, begin to cut your scones out. 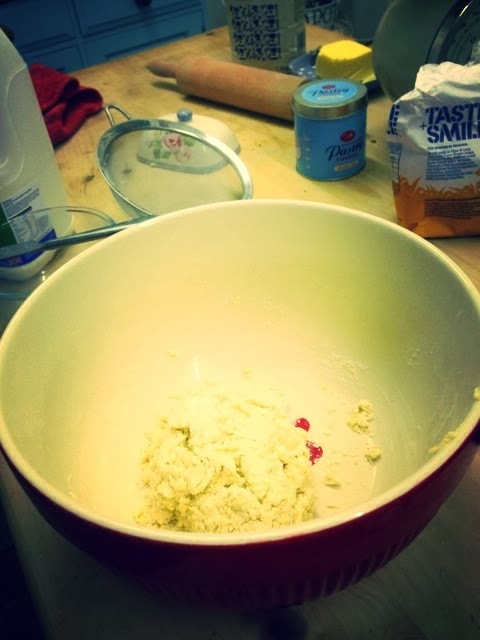 Be careful not to twist the cutters though or you will ruin the shape of the scones! 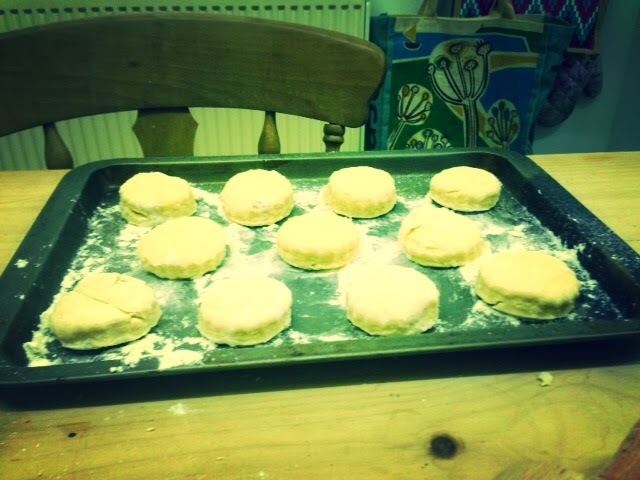 Step 12: Place the cut scones on a floured baking tray. Make sure you give each one a little distance from the next so they don't connect while baking! 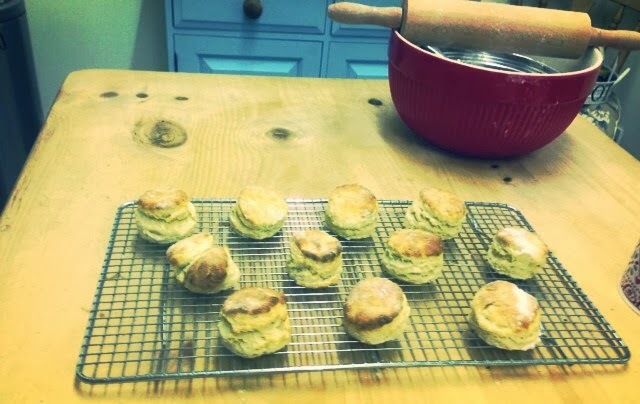 Step 13: After baking for 10-15 mins, or until golden brown, turn the scones out onto a cooling rack. 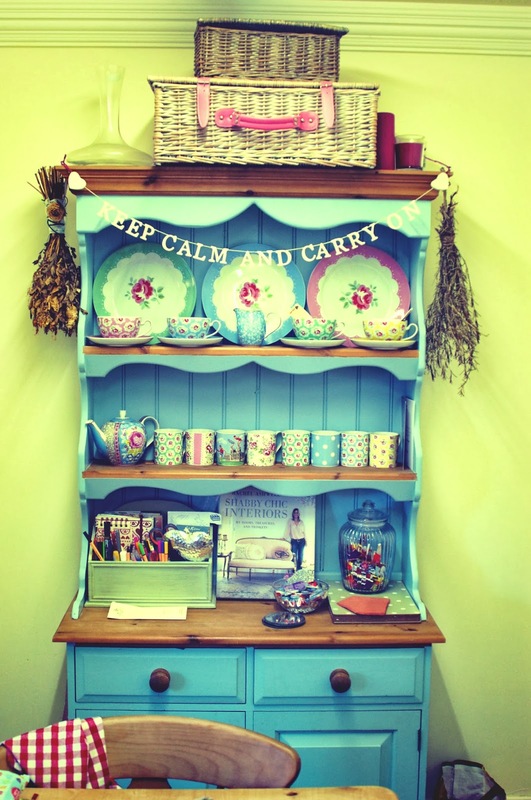 Step 14: Serve the tea, sit down and enjoy! 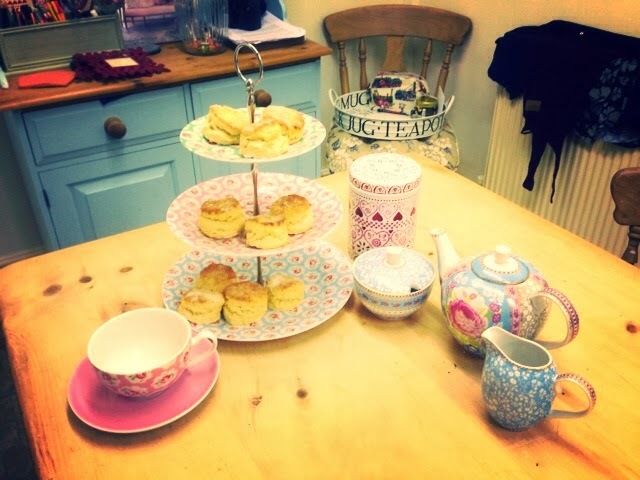 They are simply divine with Cornish clotted cream and strawberry jam, my favourite tea-time treat!